and first noted in the wild in the 1910s. 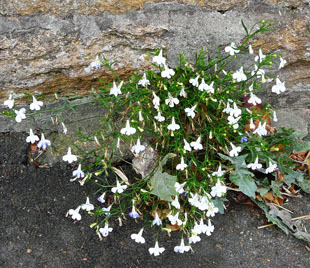 at the base of walls. 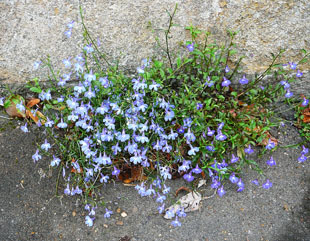 growing in the same place at the base of a wall over 5 years. 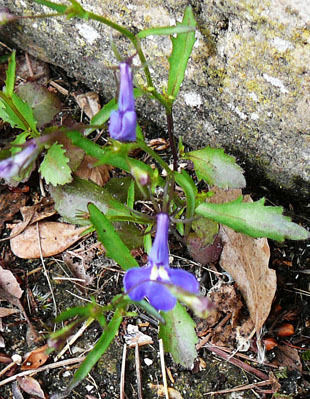 larger and lip-like and 2 are small and rabbit-ear-like. 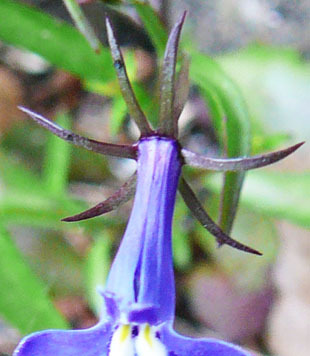 The sepals are pointed and spreading. 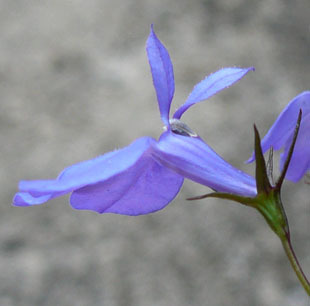 Bracts are small and leaf-like. 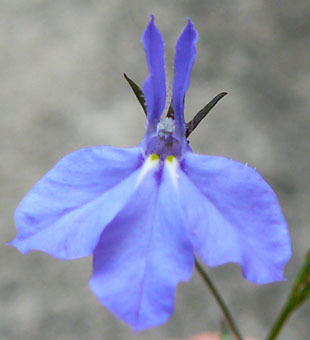 Lower leaves are lanceolate to oval and toothed. Upper leaves are lanceolate to linear.. 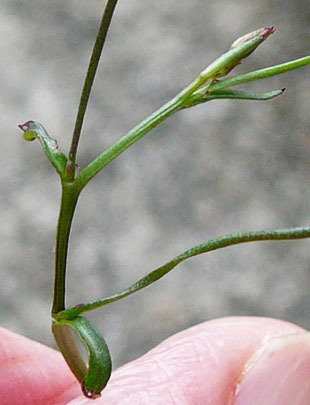 Stems are erect to sprawling.